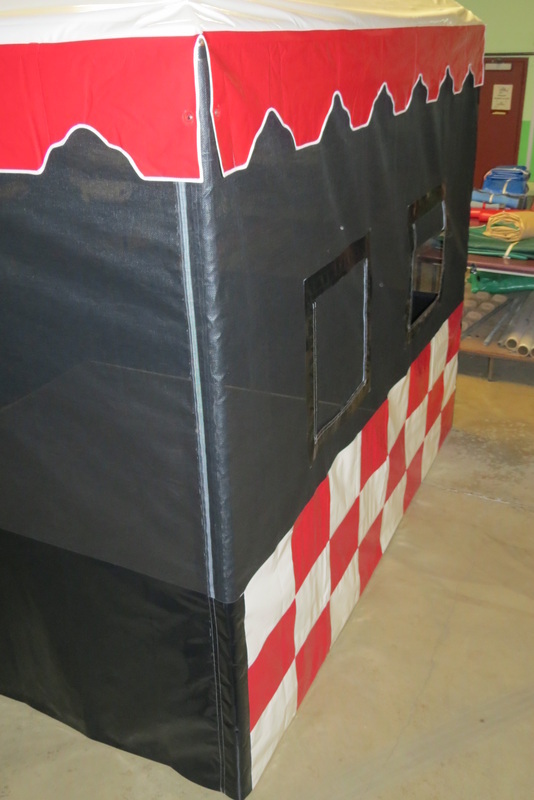 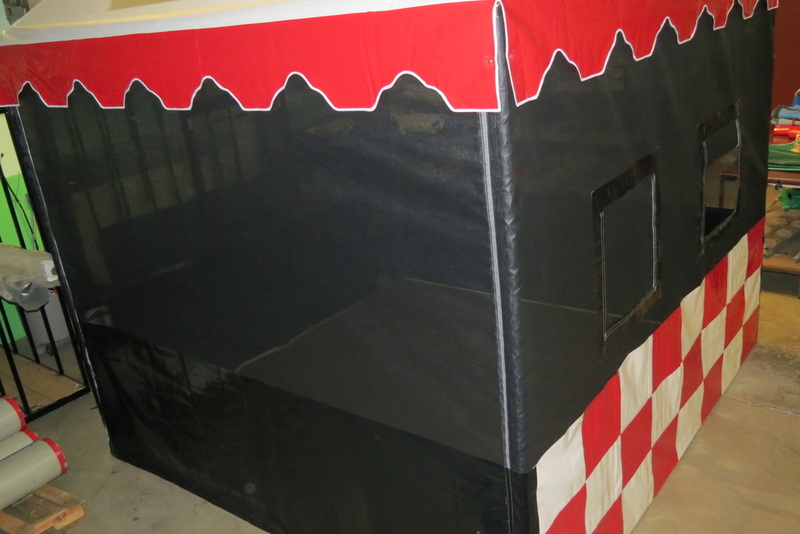 This is our Diamond Top style of food booth in a 10X10 size. 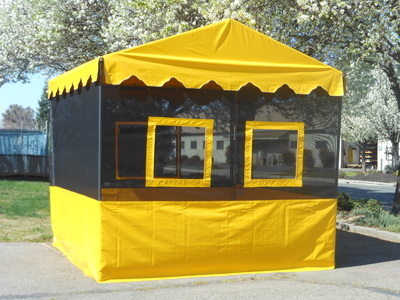 These can be ordered in a number of custom colors & stripe combinations. 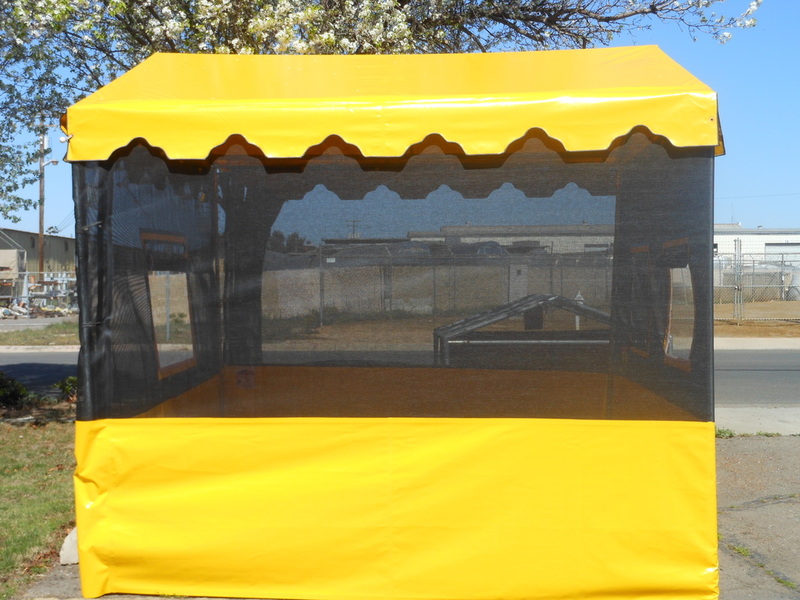 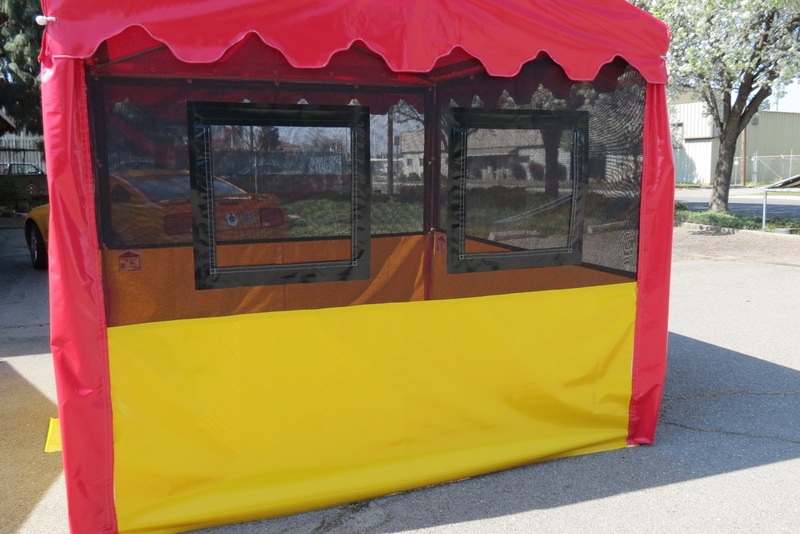 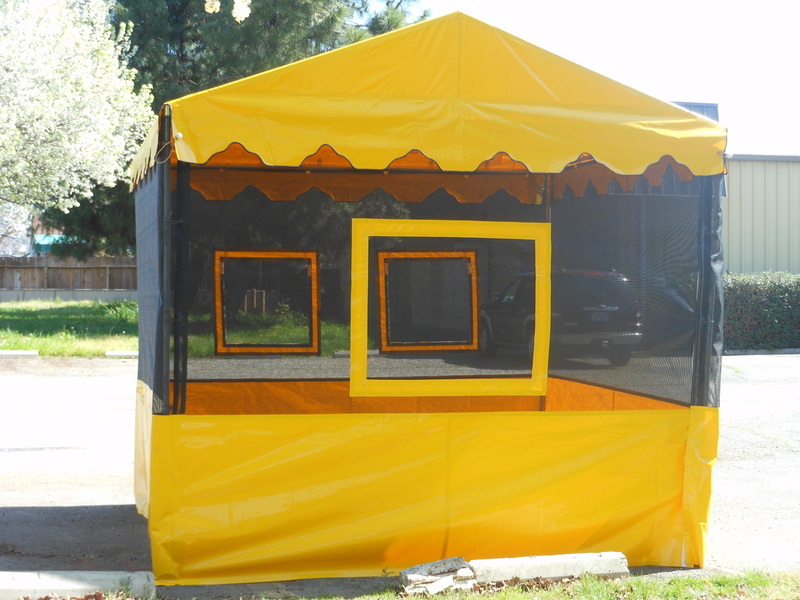 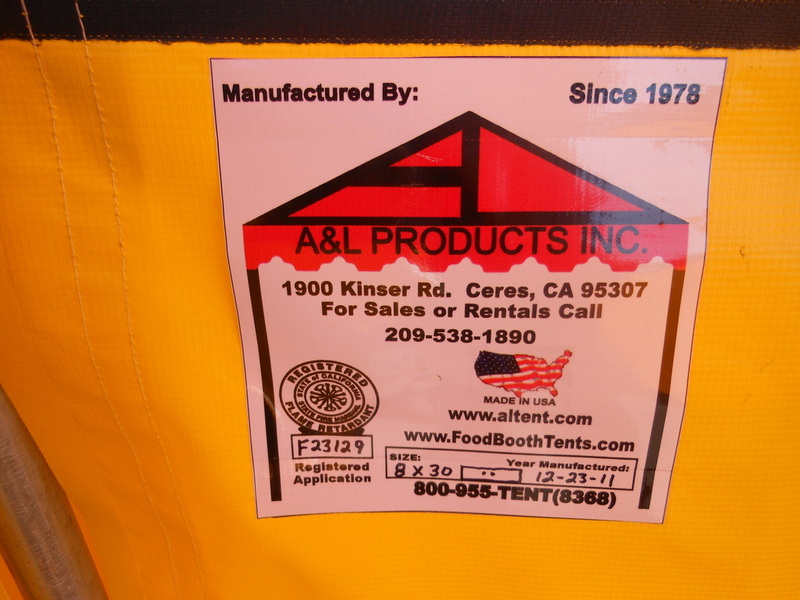 As pictured we currently have a limited stock of brand new yellow and black food booths ready to ship or pick up! 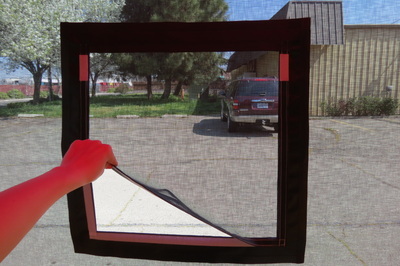 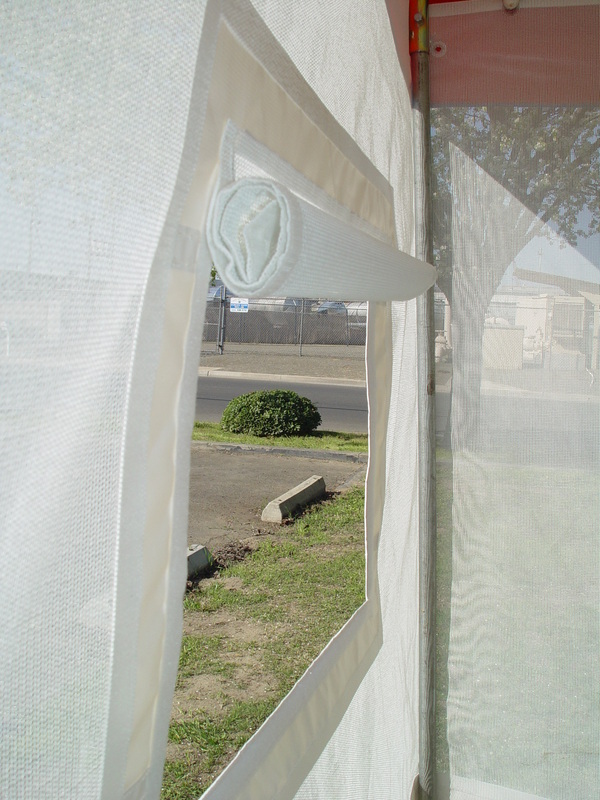 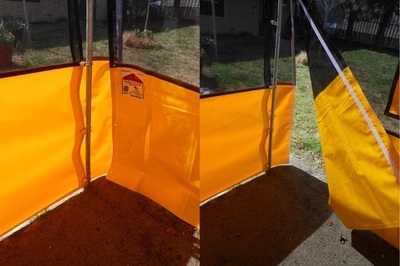 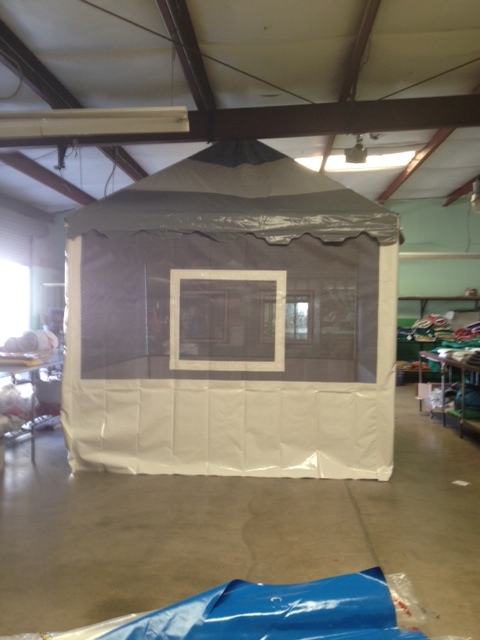 Pictured here is a 10 X 10 Trimline on a 7 ft leg. 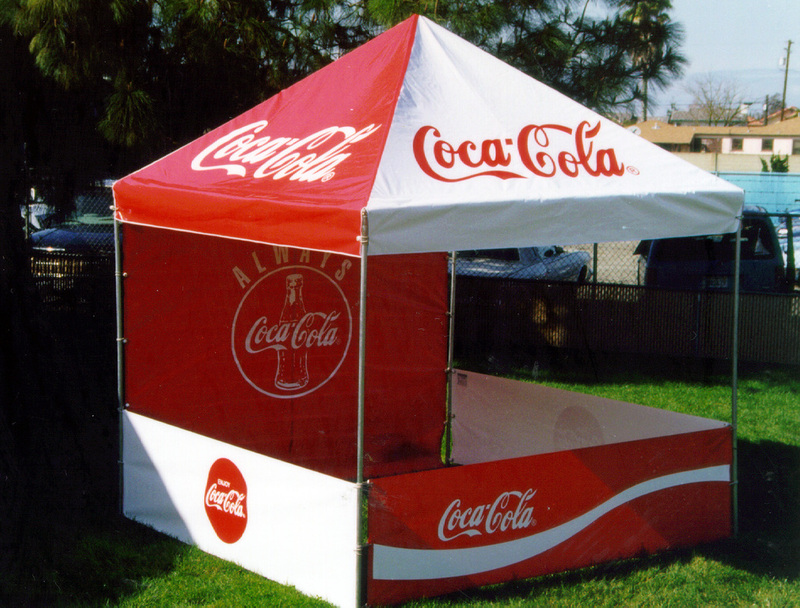 This can be ordered and made in a variety of custom colors & also a logo can be added. 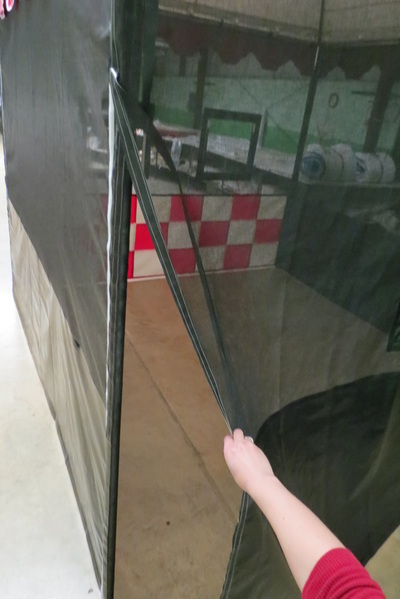 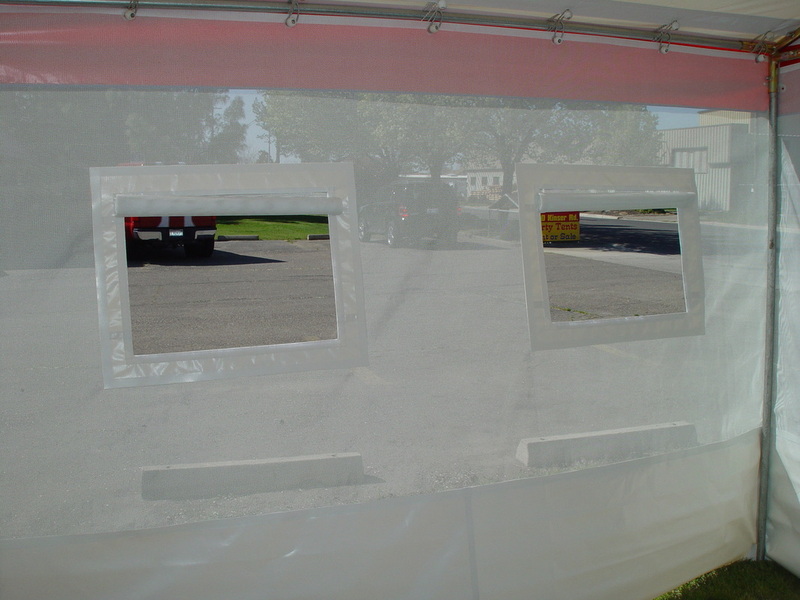 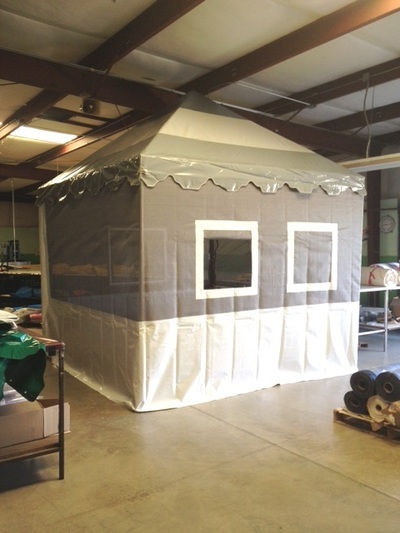 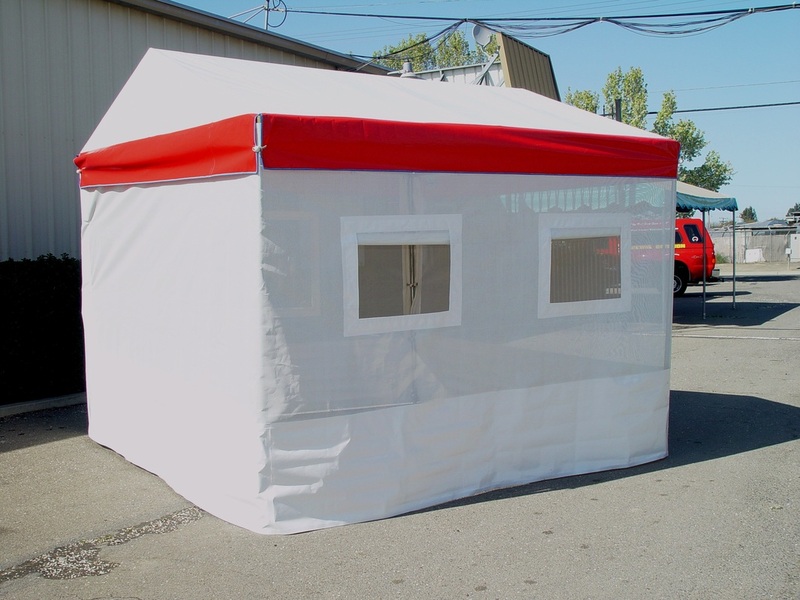 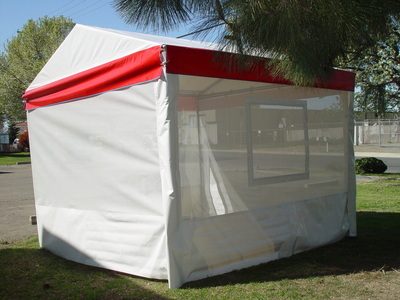 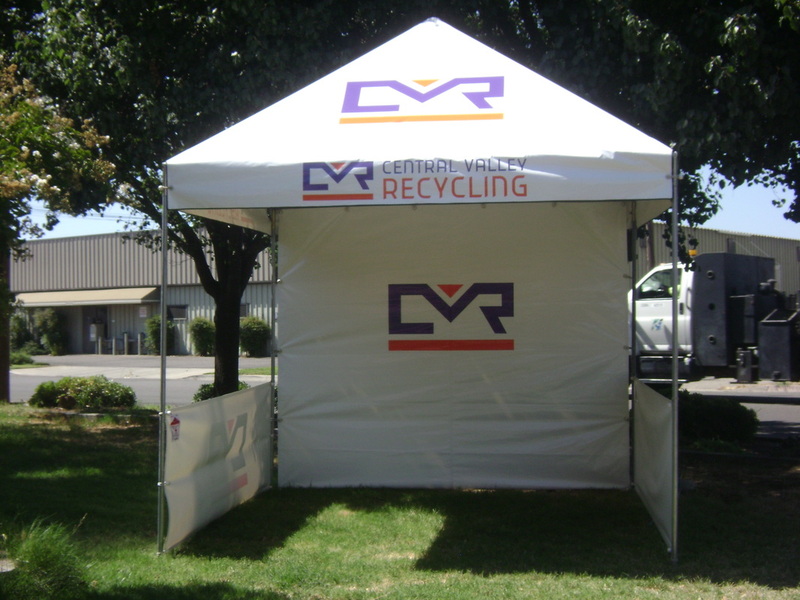 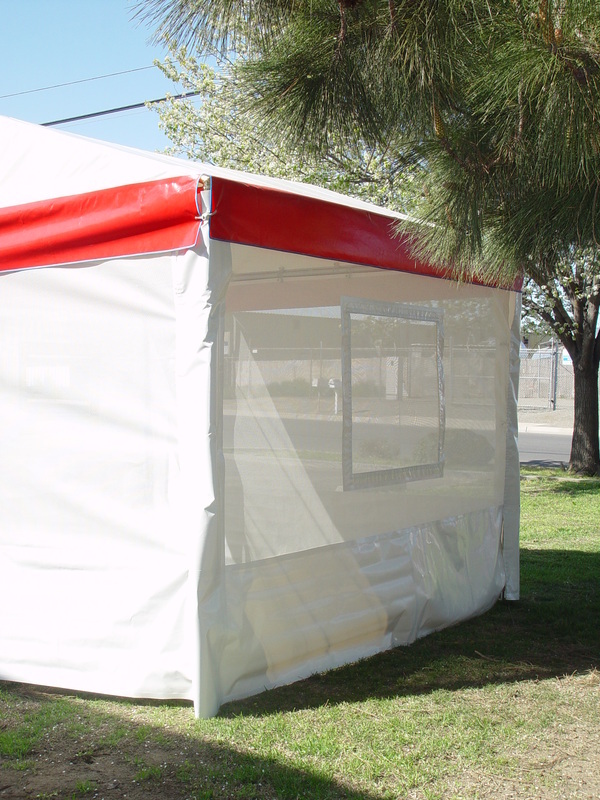 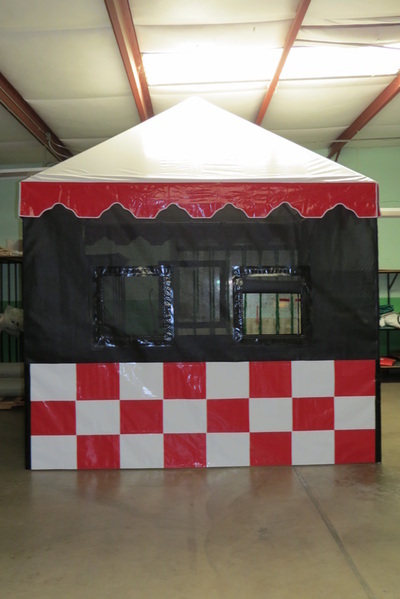 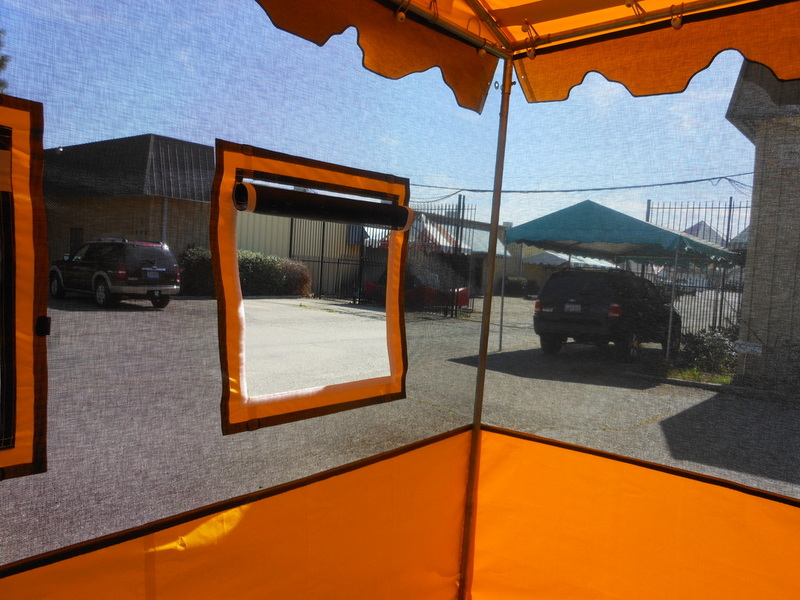 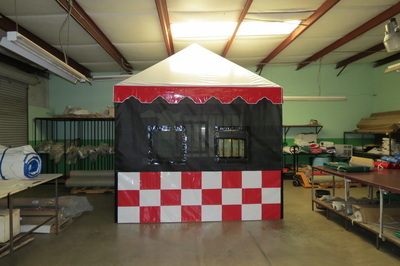 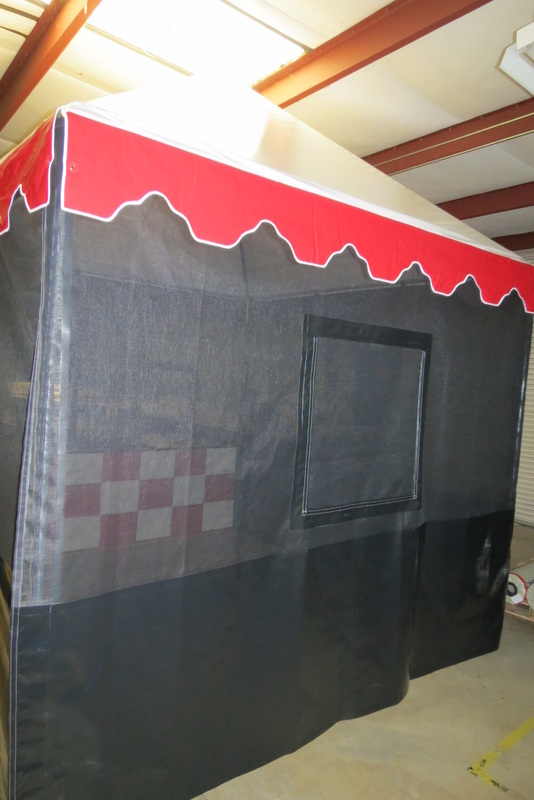 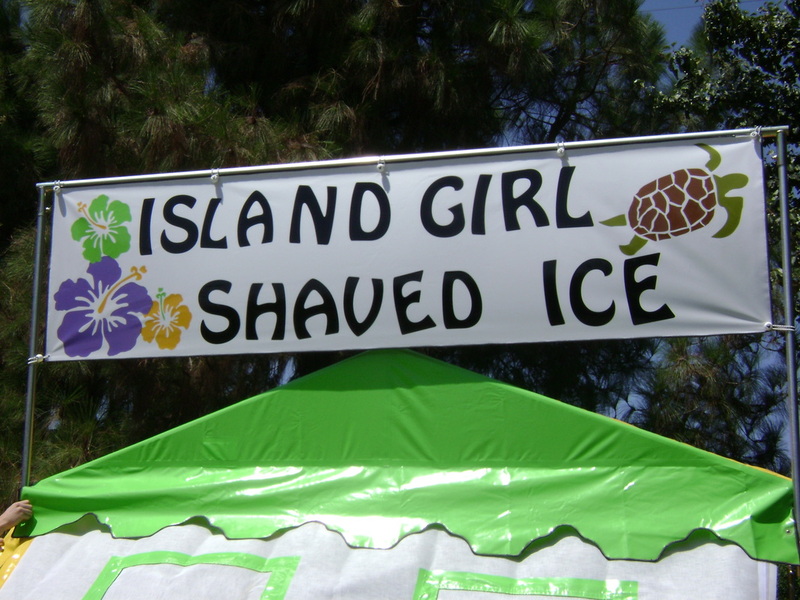 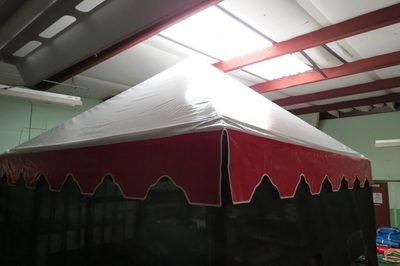 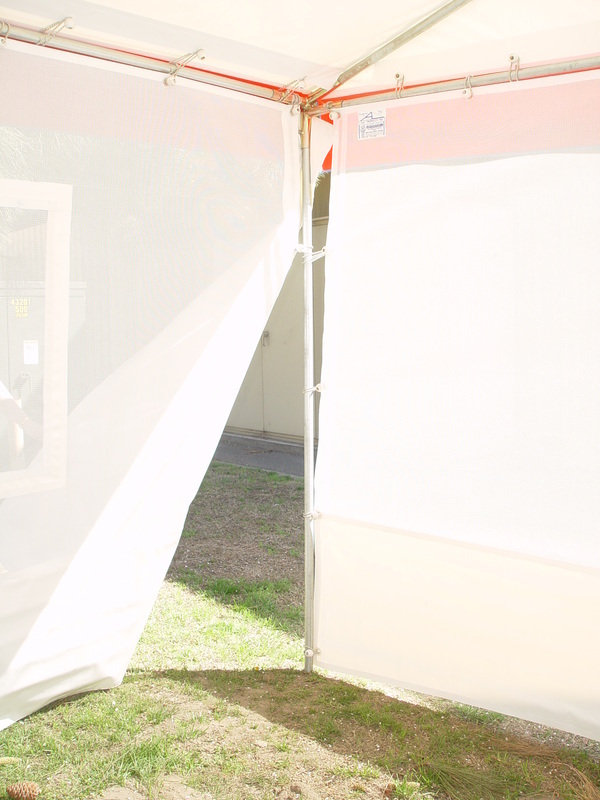 We also have a previously used inventory of food booth tents for sale. 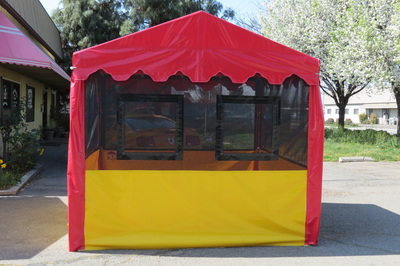 Please call for color selections & pricing.